Creeeeepy ! I like it ! 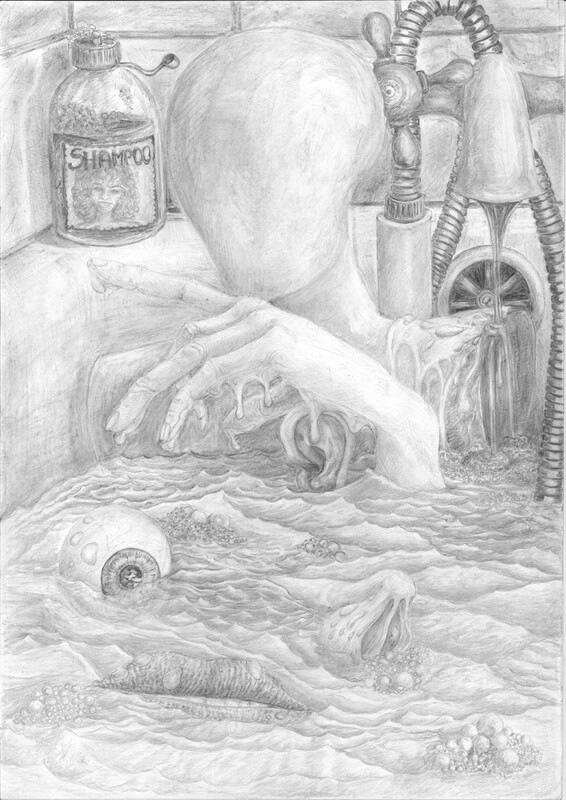 Faceless ghoul in a bath. Floating eyeball, nose and mouth ! How sick is this ?? Is it the shampoo that melted the face off ? Twisted oh so twisted ! I like like like !